… I think HBO in particular has some incredibly great content, and so we’re marrying their great content, our great product and ecosystem. And it’s clear from looking at the early returns, we’ve only been at this for a couple weeks or so, that there’s a lot of traction in there. And so where could it go? I don’t want to speculate. But you can speculate probably as good as I can about where that can go. I think we’re on the early stages of just major, major changes in media that are going to be really great for consumers, and I think Apple could be a part of that. Still, we’ve heard this song and dance before many a time. What’s so different now? Simply put, the world is different. Watching streaming content online isn’t just something tech nerds do—whether it be binging on Daredevil or House of Cards via Netflix, catching up on Saturday Night Live sketches on Hulu, or just browsing music videos on YouTube, we’re all consuming Internet video at a prodigious rate. Plenty of companies have jockeyed to be part of this changing landscape: the late, lamented Aereo flew too close to the sun, while Sling TV and HBO are just now staking their claims. Apple itself is rumored to be heading down a similar path, providing a monthly subscription service comprising a package of channels. It may be a while yet before getting one’s TV service online is the norm, but with all the shakeups in television production and distribution, it’s clear that change is not only inevitable, but imminent. Of course, this isn’t Apple’s first foray into TV by any means—the company’s been selling TV shows online since 2005, when the only devices on which you could watch were either a Mac or an iPod with a tiny screen. Apple tried to translate its success with selling music into movies and television shows, and while it was an early mover in the market, the value proposition never quite worked out. For most folks, buying a TV season is overkill compared to an album or even a movie that you might consume over and over again—rewatching an entire TV season or series is a much bigger commitment. Not to mention the disk space you need to store it all. A streaming service for Apple’s always-connected devices makes more sense than selling a la carte TV shows you had to sync to the tiny-screened iPods of yore. In some ways, Apple’s blockbuster success in the early days of music is an aberration in the company’s digital media history. A big part of that runaway win was that it also made the then best-in-class device for listening to audio on the go. The iTunes Store also hit the market at exactly the right time, when CD players were just beginning to get long in the tooth, and competitors like Sony’s MiniDisc were struggling to take off. Not to mention that its promise of owning music rather than subscribing resonated in an age where people were still purchasing music. Moreover, purchased music could go with you on your iPod, whereas doing the same with music from a subscription service was a cumbersome process. But Apple’s first shot at TV and movies was a decade ago, and in that time we’ve all become acclimated to not owning all our content, paying monthly fees, and having a portable computer with an almost-always-on Internet connection in our pockets. Streaming services allow for a large catalog, available on demand, without having to worry about syncing or storage space. It may not be the universally better solution, but more often than not it’s the better experience. It’d be overstating matters to say that the content providers are running scared, but the popularity and quantity of digital streaming services and the increase in cord-cutting points to an irrevocable upset in the way we consume our media. 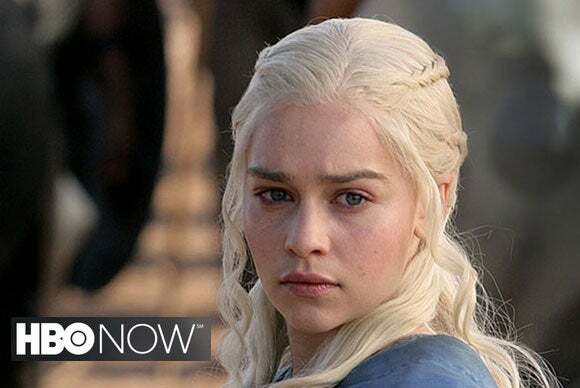 Tim Cook’s comments seem to indicate that HBO Now is just the warmup act. The key to what Tim Cook said this week was in marrying HBO’s content to Apple’s expertise in user interface and experience. 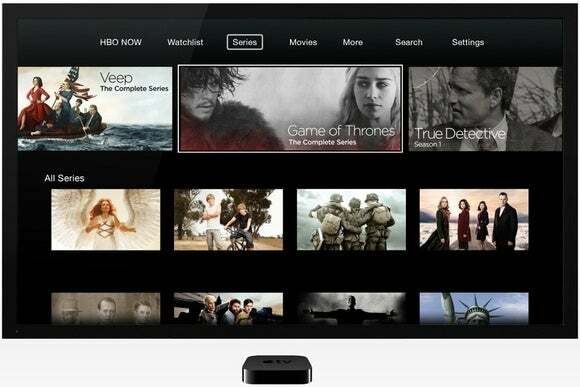 Both companies are upstarts in their own way, so it’s little surprise that HBO Go debuted along with the Apple TV. Comcast recently backed off on its proposed merger with Time Warner Cable, HBO’s parent company. If the cable companies aren’t shaking in their boots, they’re at least taking a hard look at what’s happening around them. And if there’s one thing large companies are bad at, it’s turning on a dime. But this is exactly where Apple thrives, at the transition point. The company doesn’t create markets, but it does have a knack for inserting itself into areas that aren’t quite developed and producing the most elegant and desirable offerings. It did so with digital music, the smartphone, the tablet, and most recently the smartwatch. While I’m not absolving Apple of its false start in TVs and movies to date, there has long been a feeling that perhaps the content producers simply weren’t ready for the change. But ready or not, that change is now upon us.